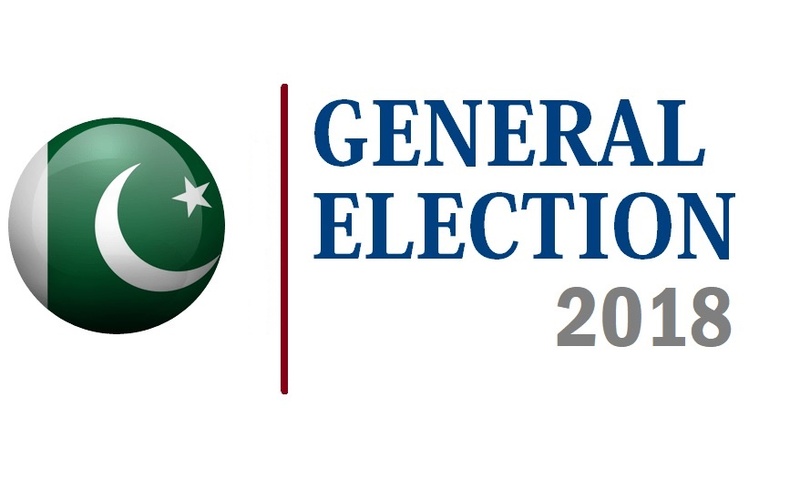 On the face of it, July 25th is just another election in Pakistan. Scratch the surface, and one finds that the country's future hinges on it. Let's start by the process of inversion, rather than asking whether PTI can improve the country and to what extent, lets start by asking whether the existing parties, PML-N and PPP can secure our future. The noisy popular media can swing arguments either way, and it's no surprise that a large part of the populace is confused. A look at the cold, hard facts may be most useful; as Pakistan today finds itself at the precipice, another term by the old guard will be an economic catastrophe. Few understand the severity of the situation; Daronomics has been catastrophic for our country, the full implications of which are yet to unfold. 1. A looming water crisis is probably the biggest concern; Pakistan is likely to be unable to meet a third of its water demand by 2025. With the racking up external debt, and the progressive destruction of our export sector, a business as usual approach will just not work. 2. The de-industrialization that has taken place in the last ten years risks transforming our demographic dividend into a demographic time bomb. A country that needs to create 1.2mn jobs per annum to employ its burgeoning workforce finds that it may not be able to produce even a fifth of that number. Exports to GDP, never Pakistan's strength has averaged 11% of GDP in the last fifteen years, today it has fallen to 7%. 3. Being primarily an agricultural country, our crop yields are 28%-52% below the global best in class; we have become net importers of foods. 4. Our external debt currently stands at US$92bn, compared to US$46bn as of 2008, a doubling in the last ten years. Import cover currently stands at less than two months of imports, highlighting a panic-like situation. Our currency has lost half its value in the last 10 years, and is expected to continue sliding further. Based on the Darwinian logic of the survival of the fittest, Pakistan's economy is heading towards extinction. Even the elite, still relatively comfortable in the rent seeking culture that has been afforded to them, are like the proverbial frogs who are put in hot water and die without even realizing it. The current trajectory is clearly unsustainable, regardless of which social strata one belongs to. The pros of these tried and tested parties are few and far between. The PML-N's highly visible but selective infrastructure focus in urban Punjab cannot cut the mustard - it is just not enough to save the day. Likewise, the PPP's libertarian ideals are meaningless in the face of their rank incompetence. Putting the majority through hell and high water, and then speaking about respecting minority rights; I am surprised that any well-informed people are still listening to them, much less vote them in. The alternative - a failure of the imagination? What to think of PTI? Depending on who you speak with, they can Talibanize Pakistan if in power, or be the kind of reformist government that changes the fate of nations. Their track record in KPK is the only objective means to judge them. The rest of us in the country are mere arm-chair supporters or arm-chair critics of PTI at this point. We don't really know what PTI can or cannot do, if they are given a chance. In KPK, surveys point to an increase in popularity compared to 2013 (even more significant in a province known to have a large anti-incumbent bias), and most agree that they can re-form a government in the province. This is not to be taken lightly - after all, the proof of the pudding lies in eating it. especially in KPK, where votes are cast not along feudal bonds, the clout of electables, or ideology, but rather, largely on past performance. Structural changes have been instituted in the province, its government schools and police force, surely not at the ideal pace, but tangible progress on some very important aspects is evident. This is heartening, and a clear indication that PTI's reform agenda is likely to be instituted at the national level, if given the opportunity. Can Imran succeed in reversing Pakistan's fortunes? By no means an easy task, after decades of mis-governance. Taking on entrenched vested interests in a country like Pakistan can never be easy. But the silver lining is that genuine reform driven governments have often been a product of dire situations - when things hit rock bottom, the nation is willing to back a reformer. This happened with Turkey under Erdogan in 2002, Russia under Putin in the early 2000's, and Indonesia and South Korea post the Asian Financial Crisis in 1998. With their backs to the wall, these countries embraced genuine and wide-ranging reforms under the right leadership, which created a national mindset for positive change. On that count, there is hope. As we stare into the economic and social abyss in Pakistan today, the need for sharp change is widely recognized. Imran continually talks up the economic miracles of Malaysia under Mahathir and Turkey under Erdogan - mirroring their policies would go a long way to help. Can Imran keep his own party organized to succeed in mending Pakistan? This is the harder question. The willingness to reform is less circumspect, however, the ability to achieve it remains largely untested. Internal rifts in PTI have been too frequent for comfort, and with a bunch of electables now on the PTI bandwagon, hard-hitting reform legislation is also unlikely to see a smooth sailing execution. However, if viewed through the prism of which task was tougher - bringing a party like PTI from nowhere into genuine contenders for national government through a 22-year struggle against a system rife with corruption, or to build part depth and consistency post an electoral success, I would choose the former. Imran's singular achievement to get PTI within striking distance of the prize is a miracle in itself - a testament to his single-minded sense of purpose and drive. If PTI is able to build a government post the 2018 elections, the hardest part may be behind us. Once in power, and if the reform agenda is pursued with some modicum of success, 2023 may be a much more convincing and less compromising victory. The parallels are already there in the case of Erdorgan and Mahathir, where initial success in their economic agenda led them to be re-elected multiple times. So what gives? What should be our choice on July 25th? After the analysis, the question kind of answers itself. Pakistan is a basket case already under the leadership of PPP and PML-N, and likely to sink to lower depths if they get another turn at the helm. Can Pakistan be a break-out nation if PTI comes to power? I wish I knew the answer. Do we as a nation have any other option but to vote PTI in and hope they deliver? I'm afraid not. Politics has famously been said to be choosing the lesser of the two evils. Imran and PTI may not be paragons of virtue, but what I do know is that they stack up well in a relative contest. Author Bio: Farrukh Karim Khan is the Chief Investment Officer at Providus Capital and a former analyst at Credit Suisse, Singapore. He is also a Chartered Financial Analyst (CFA).